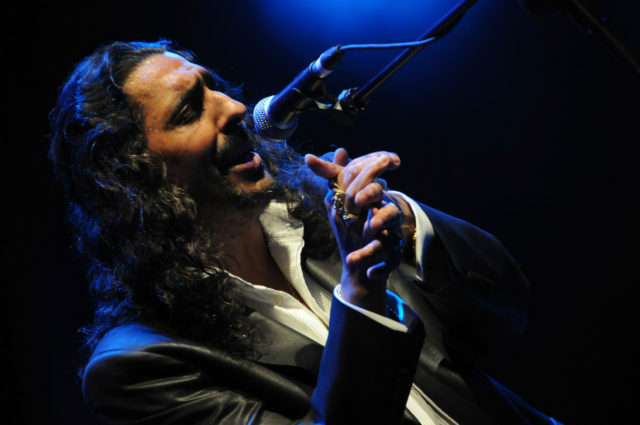 Born into a family of flamenco musicians, El Cigala began his solo career in 1997. 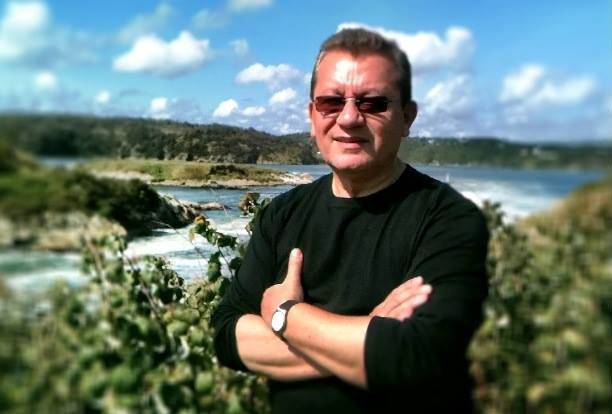 A mere four years later he was at the Latin Grammys, his Corren Tiempos de Alegría nominated for Best Flamenco album. That was just the beginning of much bigger things to come, as a small initial collaboration on that CD between El Cigala and legendary Cuban pianist Bebo Valdés led in 2003 to a duo CD, Lágrimas Negras (Black Tears), that became one of the most astonishing breakthroughs in the realm of world music. Aside from winning El Cigala his first Latin Grammy (he now has three), Lágrimas became a huge global hit thanks to a combination of killer live shows, rave reviews, and ecstatic word of mouth. This groundbreaking disc, with its fusion of gypsy fire and complex Cuban rhythms, sold more than a million copies worldwide. Aside from winning numerous awards, the album was fawned over by Britain’s BBC Radio and hailed “record of the year” by the New York Times. This was unprecedented success for a flamenco singer – and it was to prove just the beginning. El Cigala won his second Latin Grammy in 2006 for Picasso en Mis Ojos (Picasso in My Eyes), which also became a bestseller. Then in 2010 El Cigala travelled to Argentina, land of the tango, to immerse himself in that country’s powerful musical traditions. After merging his own band with two of Argentina’s tango masters – bandoneonist Néstor Marconi and guitarist Juanjo Dominguez – the results were, once again, musical magic. Cigala & Tango won a Latin Grammy for Best Tango, and went on to generate fantastic sales, great reviews, and a sold-out tour that played to more than 160,000 awed fans. He again delved into Argentine music with the 2013 album Romance de la Luna Tucumana, this time adding folk and romantic elements. 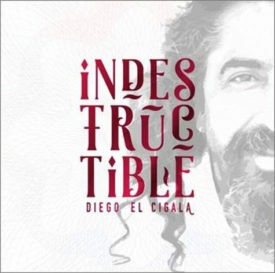 Featuring the electric guitar of Diego “El Twangero” García, it gave a new spin on Diego’s music. Duetting with Diego were the tango singer Adriana Varela and folk singer Mercedes Sosa. During its first week of release, the album was certified Gold in Spain. Romance De La Luna Tucumana earned Diego his second Best Tango Album Latin GRAMMY®. His 2014-15 tour in support of this album ran for 78 concerts and included sold-out performances at New York’s Carnegie Hall, and Los Angeles’ Disney Hall. In 2016, he launched his Cigala&Piano tour, where he performed his favorite songs accompanied only on piano. This 40-city tour included five performances in Santiago, Chile; and multiple dates in Buenos Aires; San José, Costa Rica; and Mexico City. During summer 2016 he performed 14 dates in Europe, duetting with the 85-year-old Cuban singer Omara Portuondo and giving attendees an unforgettable experience. He also made another stylistic leap, releasing his intensively researched salsa album Indestructible. Indestructible features an All-Star cast of old school “salseros” that include Oscar d’Leon, Larry Harlow, Bobby Valentin, Roberto Roena, Luis “Perico” Ortiz and many others from the “Fania” glory days. Also featured in Indestructible is Latin Jazz piano great, Gonzalo Rubalcaba.